Christmas season is perhaps the most anticipated time of the year anda the time of year we all need a helping hand. The festive spirit is in the air and the children are home for six weeks for the summer break. This means the family will be complete for the holidays, a perfect time for catching up on fun Christmas and summer activities. However, this time of the year can also be the most stressful. 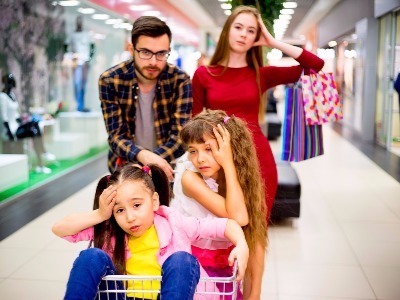 The pressure of the holidays can be intense for parents who have a lot to deal with – taking care of the children during the school holidays, organising and preparing for Christmas celebrations, and shopping for presents. And on top of it, most parents still have day jobs to go to in addition to running the household. There is literally no time for rest. While there are childcare and school holiday programs available across Australia, flexible and affordable options, however, are limited. And with the costs that come with the holiday season, there’s just no room for more costly expenses. With the help of The Room Xchange, there is now an affordable way to ease the holiday stress and get a helping hand during this period. If you were to share a spare bedroom with someone who is looking for food and accommodation for a few weeks, you could have 14 hours of help around the house each week. The Room Xchange is a secure platform where hosts willing to share a spare room are connected with guests looking for affordable accommodation in Xchange for a couple of hours of their time each week to help around the house. Turn the extra space in your home into a resource. Connect with like-minded individuals and gain a new friend who will be willing to give you a helping hand to you prepare for the holidays in Xchange for food and accommodation. Your guests can help do the Christmas or grocery shopping, look after the children while you’re at work or on errands, wrap gifts, and even help organise activities and Christmas celebrations for the whole family. Stress can impact major aspects of your life. It can have negative effects on your productivity, on your health, and on your relationships with other people. And as we dash onto the Christmas season, The Room Xchange will help you de-stress your life at affordable costs, giving you the most precious gift you can give to your family and friends: your time. Welcoming a guest into your home is also a life-changing experience for you as the host, and for your guest. Not only are you getting a helping hand and your guest having a place to stay, you are also growing your family even just for the holidays and sharing valuable life experiences with each other. Who knows, you might just gain a lifelong friend. It could be one of the most meaningful blessings you can receive this Christmas.